As the weather is becoming colder, our skin gets drier, therefore, these are the products that I have in my collection that I will be reintroducing into my routine. Being an avid matte lip product wearer I do have some favourites that I stick to: with my #1 being the Elizabeth Arden Lip Protectant which makes my lips so soft and hydrated the next morning. I much prefer the packaging that you get in the Christmas collection since it's handier in a tin than a bullet. Another cult favourite of many other people is the Elizabeth Arden 8 Hour Cream which is more fragranced and has more of a balm texture. 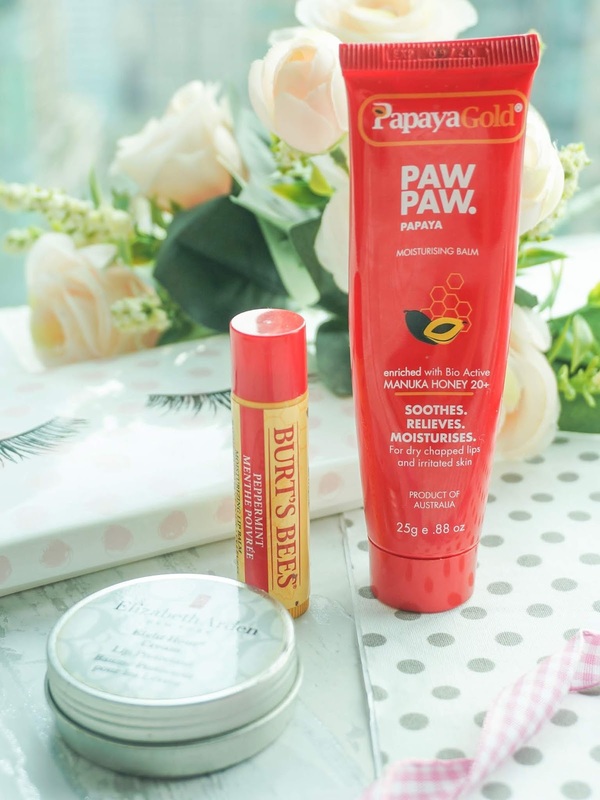 A skincare saviour similar to the Elizabeth Arden 8 Hour Cream but without the fragrance is the Papaya Gold Moisturising Balm which works wonders on the lips overnight and pre-makeup. I also use this on any dry irritated skin. For a handy and quick fix, I recommend the Burt Bees Lip Balms which they have many scents. they are truly nourishing. I have peppermint which is a little tingly and my favourite scent is Acai Berry which unfortunately has been discontinued. 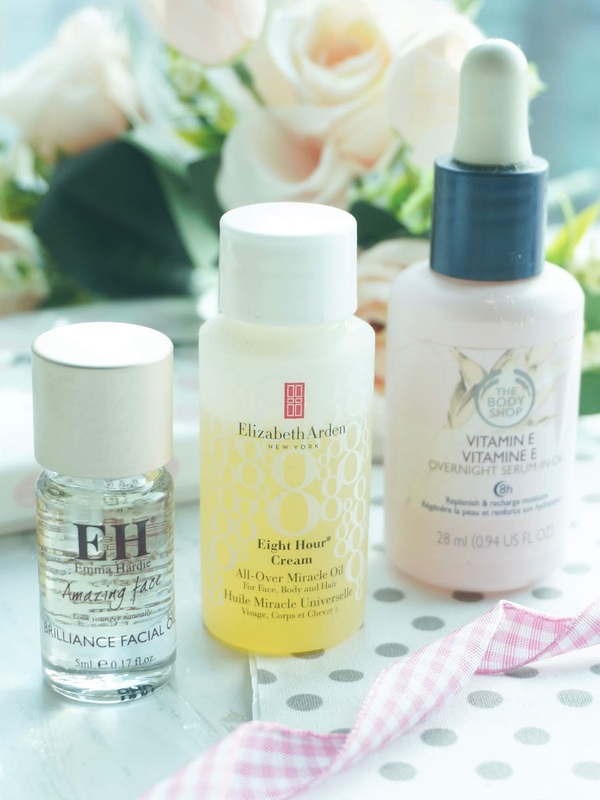 I like introducing facial oils back into my routine with my firm favourite being The Body Shop Vitamin E Serum in Oil and Elizabeth Arden All Over Miracle Oil last year. I received a sample of the Emma Hardie Brilliance Facial Oil which is also very pleasant. My skin has become a lot drier and these work their magic overnight plumping my skin. 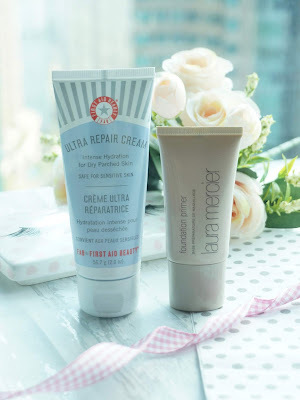 The First Aid Beauty Ultra Repair Cream is my go-to for the colder season. It is a thick cream, therefore, a little goes a long way. I can use this day and night with a lighter application in the morning. This really helps with dry skin and I have had no irritation. The smell reminds me of E45 which brings me back to my childhood. A moisturising primer is needed for those cold days to come. A firm favourite is the Laura Mercier Foundation Primer which has a light gel texture that hydrates. It has a light scent and smoothes over your skin, perfect for those who like a fuller coverage during the colder weather like me. These are the products that I will be pulling back out. Are there any old favourites you like using over the colder months? Oh they all sounds amazing for autumn! Dryness during the colder months is my worst enemy! You've got some great picks here. 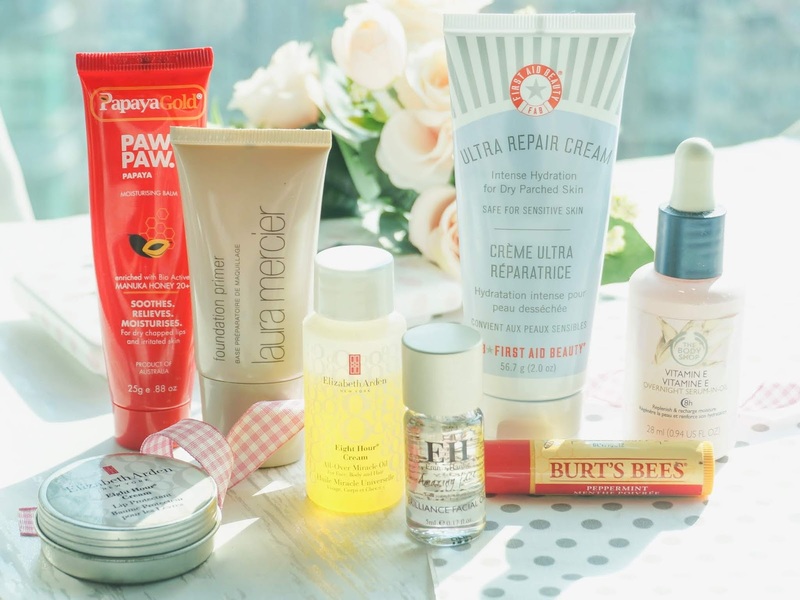 I've been meaning to try out the First Aid cream for the longest time and I'd actually forgotten about it until I seen this post! The Elizabeth Arden Eight Hour Range is a must for me!